I found Salford Sling and Meet online and joined their Facebook group whilst I was still pregnant! I couldn’t wait. 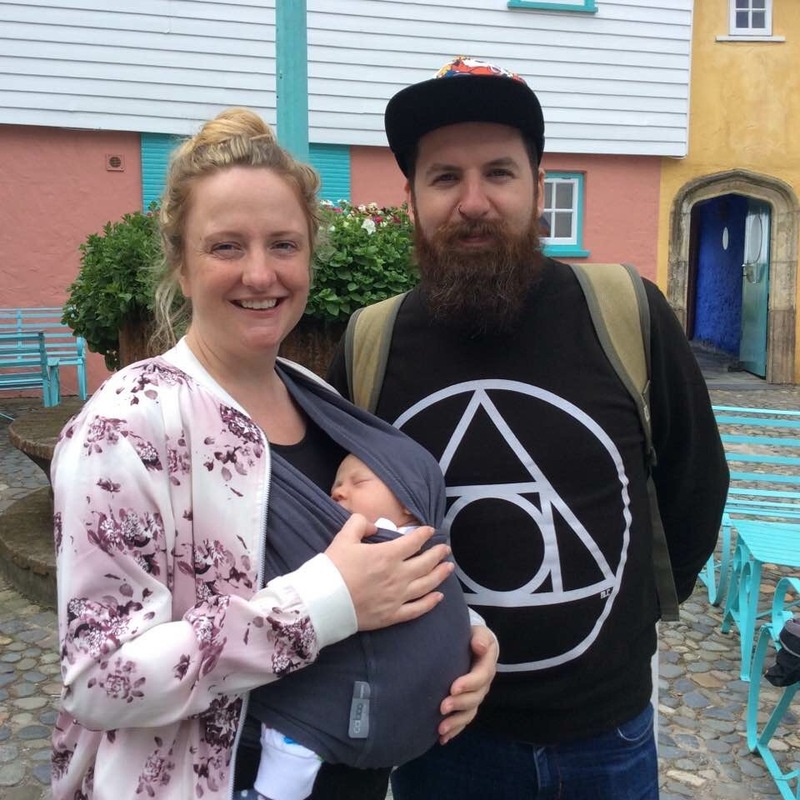 We went to our first meeting when Cassius was 2 weeks old and a lovely lady named Hayley helped us pick out a sling. I borrowed a Close Caboo. Initially I was terrified, I was sure I was going to drop him. With a bit of practise we became pros. We actually went to Wales for the week with the Caboo. After worrying about fitting the pram and all it’s contraptions into our Fiat 500. We need not have bothered taking it, I carried Cassius for the whole week. I was hooked, I couldn’t wait to get back to the library to see what else they had for us. I had seen some of the other girls with their gorgeous woven wraps and their skilful, artistic carries! It looked so complicated and scary. I was sure that I would just end up a big sweaty mess, on sheepish trip to A&E, with a broken baby! Despite my fears I asked if someone could explain the woven wraps to me and to see how I’d get on. Lucy, a volunteer at the sling meet showed me the woven wraps and picked out Soul, a size 6 Ali Dover. At the time this information meant nothing to me. Lucy explained how to use the wrap safely, how baby should be supported by the wrap, how to tighten the carry, how to tie the wrap and how to take baby out safely. I could not believe how amazing it felt to hold my baby this way. He felt so close and safe and he instantly fell asleep. It was the middle of Summer and the woven wrap was so much cooler than the stretchy too. I borrowed the wrap for 2 weeks and it changed my life! I could clean my house, go to the shops, eat my food, use both my hands, all the time knowing that Cassius was safely snugged up with me. If he had trouble getting to sleep at night I just wrapped him up. It helped with his wind, when he had his jabs and just recently through a period of sleep regression. There was no stopping me. Thanks to the support from the wonderful volunteers at the Sling Library, I borrowed several more wraps and learned some new carries. A few weeks ago I learned even more about the ‘World of Woven Wraps’ and all the fun that comes with it. The excitement of getting your hands on a rare wrap, the ballots, the Facebook groups, the new releases and all the fantastic designers and brands. I was hooked! I also learned that it was not a cheap hobby with some wraps costing over £400. There was no way I could afford to get my own wrap, especially since my maternity pay was decreasing at a rapid rate! The following week Samantha mentioned the Fledgling Scheme to me. A scheme put together by Firespiral Woven Wraps for people, like myself who are new to baby wearing. The amazing discount offered by Firespiral for those new to baby wearing is outstanding and hard to believe. I did not waste any time and tried out a couple of their wraps. They were beautiful, soft and so easy to wrap with. The next week I returned ready to sign up. After a few days of looking at all the beautiful wraps on the Firespiral website I decided on Rosecup Aqua Festival in a 6. I am now the proud owner of my very own Firespiral wrap. I am becoming more familiar with different blends, carries and how this new hobby of mine works. I have made so many new friends through Salford Sling and Meet and the wider baby wearing community, it’s amazing! 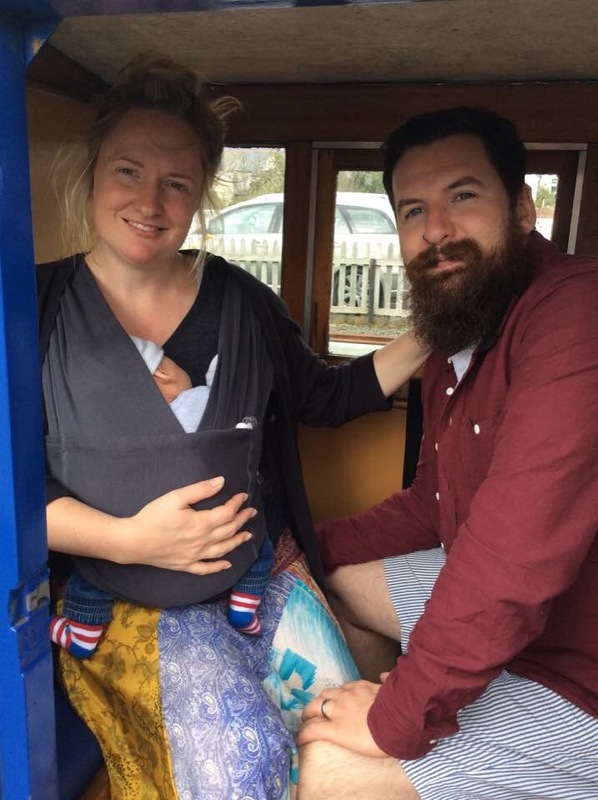 I would recommend baby wearing and the fledgling scheme to all new mums. As for the pram, I’m thinking of sticking it on eBay to buy my next wrap.